PURDOM - Bespoke Furniture. Handmade in England. Walk into a kitchen created just for you. A space dedicated to your individuality, a place designed with passion, skill and expertise. Handcrafted with the highest attention to detail and functionality. From timeless classics to rustic shaker kitchens, Purdom’s bespoke kitchens are created with passion, pride and without compromise. 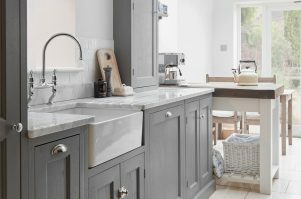 Working closely with you, we set out to make the finest possible bespoke kitchen, relying heavily on our 20 years of experience and knowledge of hardwoods to achieve just that. Cupboards can be so much more than just a storage place. A timeless bespoke cabinet will give your property the ‘wow’ factor it deserves. Cabinets, alcove units, bookcases and storage space solutions… our creativity knows no limits. We provide a wide range of built-in and made-to-measure fitted furniture. We will advise you on the best style and material to deliver a complete set of matching and long-lasting furniture. We can fit our furniture around any shaped wall, as well as match the detail of your existing furniture. If your style is traditional we can replicate ornate mouldings and cornices. Or if your style is more contemporary, we can compliment this with sleek and minimalist designs. And once the job is done, we will hide all the cables in the cabinet to leave your space spotless. Purdom’s bespoke cabinets and alcove units are created with passion, pride and without compromise. 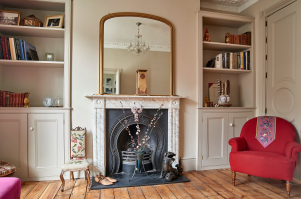 We set out to make the finest possible bespoke units, relying heavily on our 20 years of experience and knowledge of hardwoods to achieve just that. No bedroom should be without a wardrobe, and no wardrobe should be without style. The perfect bespoke wardrobe needs to fit within the available space, provide enough storage, and look beautiful. That is just what ours do. We will advise you on the best style and material to deliver a complete set of matching and long-lasting furniture. Purdom’s bespoke wardrobes are created with passion, pride and without compromise. 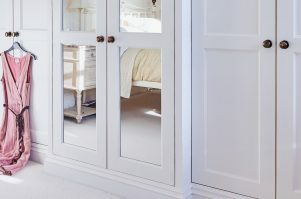 We set out to make the finest possible bespoke wardrobes, relying heavily on our 20 years of experience and knowledge of hardwoods to achieve just that. Lee's work is incredibly good. Built in Wardrobe (pine, full ceiling height). I asked for something which suited our Victorian flat - I wanted something rustic looking (hope that doesn't sound to sad-act!). He made all the doors & units & has just finished fitting. Amazing job & for great value. He's also replaced the shelves in the living room & they look way better than the ones from homebase. Also, lee is very pleasant and a good laugh. We hired Lee to build and install a set of kitchen cupboards to add to what we already had. Lee did an excellent job. He was neat, thorough and professional throughout. He pays a lot of attention to detail and stuck exactly to his initial quote, too. Add to that he's a nice guy, strongly recommended. Lee was professional in all aspects of the job. Time keeping, price and ideas were all excellent. Highly recommended - a skilled workman. My apprenticeship as a carpenter and joiner began when I was 18 years old when I decided to work with my father in his small joinery business. Dad had been a chippie for over 20 years, but I had never dreamt that I was to follow in his footsteps.I soon came to appreciate the creativity and artistry that producing something from a piece of wood demands. I found myself endlessly curious as to how things were made as I looked at the world through new eyes. 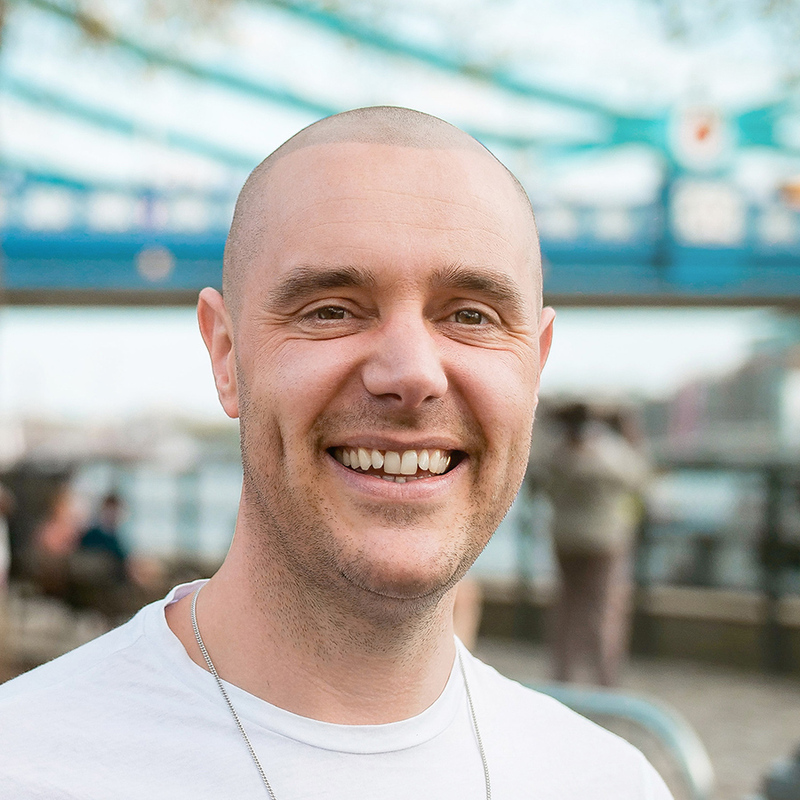 I became eager to produce good quality work and felt an enormous sense of satisfaction at having transformed an ordinary piece of wood into something beautiful, functional and practical. My love affair with wood was born!